Robert is an environmental, natural resources, property and public law litigator. He was awarded a doctoral scholarship through the Maritime Institute, Department of Public International Law, University of Ghent in 2005, and is a member of the Institute’s doctoral research programme. 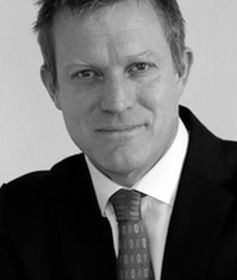 Robert was legal counsel in the International Law for the Sea Tribunal’s (ITLOS) advisory opinion proceedings on deep sea mining in 2010, and advised on the ITLOS advisory opinion proceedings concerning illegal, unreported and unregulated fishing in 2015. He has extensive experience in the field of deep sea exploration and development having (amongst other things): chaired the International Seabed Authority’s (ISA) legal working group on environmental management of deep sea mineral exploration and exploitation in 2011; advised the Secretariat of the Pacific Community on a regional legislative framework for deep seabed mining in 2012; facilitated the ecosystem-management working group during the ISA’s workshop on environmental assessment and management for exploitation of deep seabed minerals in 2016; and represented parties in a range of deep sea mining litigation. Robert has been a member of the New Zealand Law Society’s (NZLS) Environmental Law Committee, the World Conservation Union (IUCN) Commission on Environmental Law (Specialist Group on Oceans, Coasts and Coral Reefs), and a research fellow with the Faculty of Environment, Society and Design at Lincoln University, since around 2009. He is published in national and international legal journals and books, and has twice presented national seminars for the NZLS Continuing Legal Education program. He also teaches advocacy at the New Zealand College of Law, and is a member of the NZLS Auckland interview panel which assesses the suitability of practitioners seeking to practice on their own account. Prior to going to the bar, Robert was the principal litigator in a nationally based environmental law practice. During that time the practice was awarded the Resource Management and Environmental Law Award at the New Zealand Law Awards in 2011, and first runner-up in 2012.